Its exceptional quality elevates the Bruck Silva Down 160 pendant light, polished chrome to the status of a special pendant luminaire. Its almost noble-looking shade consists of mouth-blown, multi-layered crystal glass, which is manufactured in an elaborate process. The Silva Down 160 from Bruck furthermore features an opal glass diffuser inside. Other versions are handcrafted and coated with precious metal leaf. All other Silva Down 160 components also meet high standards. 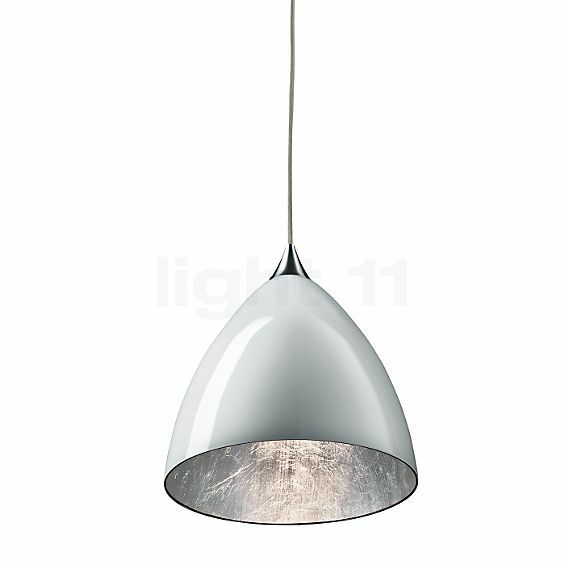 The housing of this elegant pendant luminaire is made of chromed aluminium. The delicate electrical cable also serves as a suspension so that no additional power cable disturbs the stylish aesthetics. The Bruck Silva Down 160 creates a fascinating lighting effect. 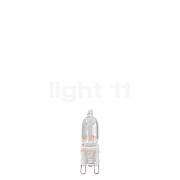 In the variants with an internal opal glass diffuser, the downward light is particularly soft. If the inside of the Bruck Silva Down 160 pendant luminaire is coated with metal leaf, the light is given a characteristic note which, depending on the version, appears warmer (gold-plated inside) or cooler (silver-plated inside). In any case, the downward zone light is very pleasant and creates a cosy lighting of the area underneath. The Bruck Silva Down 160 pendant lamp, here as a polished chrome variant, requires a lamp with a G9 base. 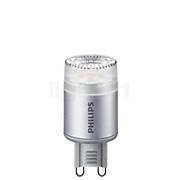 If you opt for a halogen lamp, warm white light and brilliant colour rendering are guaranteed. Tell other customers and us about your experiences with the Silva Down 160 Pendant Light, polished chrome ! The dining room or kitchen is the preferred domain of the Bruck Silva Down 160, where this pendant lamp immerses the dining table in a soft, cosy zone light, creating an inviting setting for dinner. 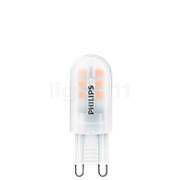 In addition, it embodies an enchanting sight with its atmospherically shining diffuser. In an ensemble of several, the Bruck Silva Down 160 also represents a unique added value above a counter.